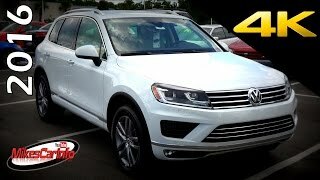 Volkswagen Touareg 2015 is a second generation SUV with new enhanced features. The series of the model was started back in 2004 when the company wanted to offer an off-road sports car. 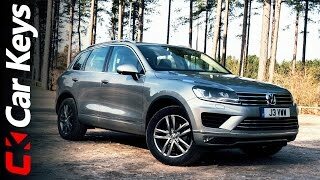 Touareg is one of the most successful providers of SUV’s from the house of Volkswagen. The brand sold 70,000 of Toureg last year which created the craze of the model in the market. 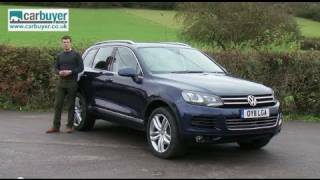 Let us have a look on the reviews of the Volkswagen Touareg 2015 and get to know more about the features it holds. The interior of Volkswagen Touareg 2015 is pretty and very much identical with the previous model. There is some shuffling of the controls and switches. In addition there is a new rotary knob for Climatronic, running gear, air suspension, navigation and mirror adjustments. It is also aided with new push button/display bar on the center console and additional chrome details for the control panel and running gear controls. The upholstery has the signature Vienna leather with new Bonanza Brown color, while the Nappa leather can be had in a light sand hue dubbed St. Tropez. It provides the customers with the option of SUV’s dashboard, console, and door panels with the new Sapelli Mahagoni or Engineered Ebony wood accents. 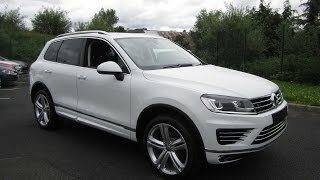 The exterior of Volkswagen Touareg 2015 is having more updates and the noticeable changes which give the SUV more awesome and refreshed look. The front fascia has larger headlamps with bi-xenon lights, which are now standard on all versions of the Touareg, while the redesigned grille comes with four chrome horizontal trims instead of two. The new bumper is identical to 2014 Volkswagen Scirocco R which makes it to look sportier and impressive. Below the bumper, a new spoiler has been added for improved aerodynamics. Around the back there are LED fog lights and the new diffuser flanked by redesigned exhaust pipes. It also includes the two new wheel designs in 18-inch and 20-inch sizes, and five new exterior colors that take the total number of colors up to 12. 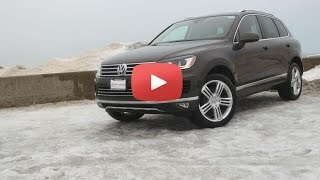 Beneath the hoods of Volkswagen Touareg 2015 there stands the powerful 3.6-liter V6 FSI engine. It offers 280 horsepower and 360 nm of torque. Then there’s the hybrid option that combines the same gasoline unit with an electric motor for 380 horsepower and a fairly impressive 428 pound-feet of torque. There are new wheel designs in 18-inch and 20-inch sizes.